Come on, get happy was a tagline from the Partridge Family and it makes a reappearance in this Sunday’s Super Bowl spot from Volkswagen, called “Get Happy”. However many people are reportedly upset that the man character sports a Jamaican accent while he tries to turn his fellow workers’ frowns upside down. His efforts ultimately win over his stody boss, naturally. Whether you’re offended or not is up to you. Seeing that most of the spots in commercials and the Super Bowl with its wide audience go for humor and specifically satire, I say it lands squarely in the satire slot. Hands down. It just breaks the neat and tidy rules. Here’s part of the official VW presser. Volkswagen’s 2013 Game Day commercial, “Get Happy” features a man who brightens up his dreary office environment with a positive attitude and inexplicable Caribbean accent. The 60-second spot builds on Volkswagen’s heritage of “human stories, told simply,” and will serve as a thematic continuation of the brand’s feel good ads including “Smiles,” which first premiered last September, and last year’s Big Game commercial “The Dog Strikes Back,” named by Google as one of 2012’s leading ads on YouTube. Jimmy Cliff’s latest critically acclaimed album REBIRTH was recently nominated for a GRAMMY award and listed as one of the top 50 albums of 2012 by Rolling Stone. Being happy in a crowded elevator during the VW Super Bowl spot. 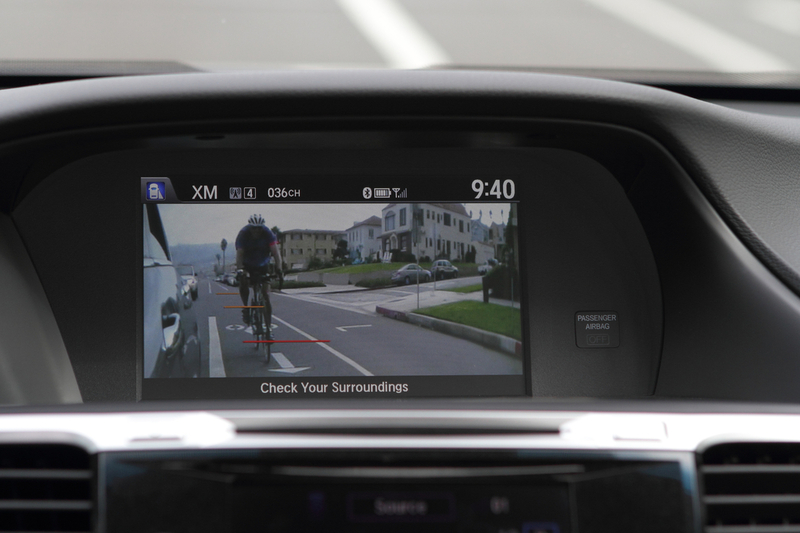 The new Honda Accord LaneWatch feature available on the 2013 Honda Accord can help drivers view cyclists or other vehicles in their blind spot. There’s little doubt that back-up cameras are more than just a fad to add to the bottom line on the accessories list when adding to the sticker price. They’re a helpful sight and navigation aid as anyone who has had to back up from a parking spot that’s had to park front bumper in on an angle and had a large pickup sidle up next to them and wonder how to proceed without crashing into someone or something behind them. The eyes of the backup camera provide a clear view behind and alongside. Honda’s LaneWatch™ blind spot display – the only auto product to win this honor in 2013 – copped a Good Housekeeping 2013 “Very Innovative Products” (VIP) Award, it was one of only nine new products overall. The winners were selected from over 1,500 new products reviewwed by the scientists and engineers at the Good Housekeeping Research Institute during the past year in the magazine’s state-of-the-art product-testing laboratory. Before any product can be named a VIP award winner, it must also pass the Research Institute’s evaluations for performance and safety. Debuting on the all-new 2013 Accord, which recently achieved the Insurance Institute for Highway Safety’s (IIHS) new TOP SAFETY PICK+ designation, and now also available on the versatile 2013 Crosstour, LaneWatch uses a camera mounted on the passenger-side mirror to display real-time images of the vehicle’s right-side blind spot on an 8-inch color dashboard display. The image appears when the right turn signal is activated, or when a button on the end of the turn signal stalk is pressed. The typical field of view for a passenger-side mirror is approximately 18 to 22 degrees, but the LaneWatch field-of-view is about four times greater, or approximately 80 degrees. The system helps the driver to see traffic, as well as pedestrians, bicycles or other objects in the vehicle’s blind spot. To help make judging distance easier, the display has three reference lines. Drivers are encouraged to visually confirm roadway conditions prior to changing lanes. With more photos and releases “leaking” out of the automakers pr machines like Washington Beltway secrets, Lexus released photos of its all-new IS compact sport sedan. It will be officially shown off on Jan. 25 at 9:30 a.m. and webcast live on lexus.com and its own Facebook page. The new IS model range will include IS 250, IS 350, and the first IS to feature Lexus Hybrid Drive, the IS 300h, which will be available in Europe, Japan and other international markets. F SPORT models will be available across the full range. Given that Lexus has placed hybrid versions into most of its other offerings, this should not be a big surprise as features often matriculate across lines over time. The tight, sporting proportions of the body are formed by powerful character lines generated by the shape of the spindle grille, which passes through the base of the A-pillars then tightens up as it flows toward the rear. They clearly delineate the body from the cabin, emphasizing the wide flare of the wheel arches to give the new IS a broad, powerful stance. In profile, the strong horizontal beltline shows off the large rear tires and its low center of gravity. The mass of the cabin itself is concentrated rearwards, visually applying weight to the rear tires to enhance the perception of traction. A rising crease line flowing from the lower body, through the rear wheel arch and into the rear lamp clusters adds the sweeping elegance to the sedan’s sporty profile. F SPORT models are instantly recognized by an exclusive grille and front bumper design. The ‘waistline’ of the grille is higher than on standard models, increasing the area of the lower grille to make it capable of drawing in a larger volume of cooling air appropriate to sporty performance. The new IS interior design creates a focused, ergonomically ideal environment from within, which the driver can fully exploit the new Lexus compact sedan’s superb driving dynamics. The new IS’ increased width and longer wheelbase provide significantly improved rear seat comfort. The combination of the extended wheelbase and a thinner front seat design generates best-in-class knee room and improved accessibility. And new, 60:40 split/folding rear seats, provide expansive luggage capacity. Cabin material, trim and finish refinement is complimented by the latest advances in HMI technology and a high quality analog clock with surface-emitting illumination. The center console incorporates Lexus-first, electrostatic switches to control the air conditioning temperature with the touch of a finger. Both the seat hip point and the angle of the new, LFA-inspired steering wheel have been lowered and steering reach adjustment increased, creating a more sporting driving position. F SPORT models feature the LFA’s innovative driver’s meter with a moving center ring. F SPORT trim detailing includes a perforated leather finish to the steering wheel and shift knob, metal film 3-D-effect ornamentation, black seat stitching, and aluminium pedals and scuff plates. A choice of three F SPORT interior color schemes includes a new Rioja Red finish, which is exclusive to the marque. Englewood Cliffs, NJ, January 28, 2013- The sixth generation Maserati Quattroporte, unveiled at the 2013 North American International Auto Show, proved a valuable member of the Naples Winter Wine Festival’s auction. The larger, lighter and more powerful Italian flagship netted a winning bid of $340,000 (actual North American pricing has not been announced). The winners, owners of a fifth generation Quattroporte, will be amongst the first to have their new Italian flagship sedan delivered in the United States.Maserati has on several occasions brought Italian design, style, luxury and performance to this event, which benefits underprivileged and at-risk children in Collier County, Fla., through the Naples Children & Education Foundation. The foundation has provided grants to 36 children’s charities and funds long-term strategic initiatives focused on children’s early learning, medical/oral health, out-of-school programs, behavioral health and childhood hunger. The 2014 Maserati Quattroporte is a significant leap forward that not only sets the high-technology tone for the Trident brand’s upcoming range of new-models, but also remains faithful to Maserati’s long history of luxury sports sedans. 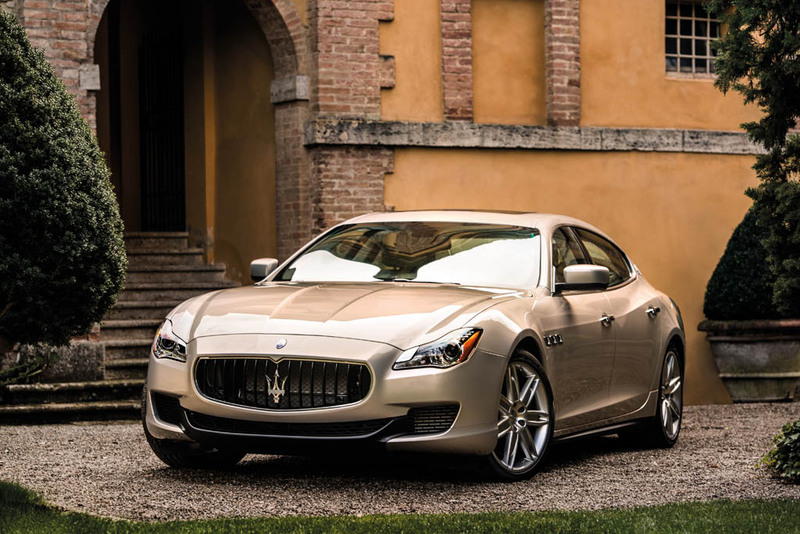 The powerful and proprietary Maserati engines and the large cabin are at the core of the Quattroporte’s design. Dominated by a long, powerful nose and a concave Trident grille a clear link is created to both current and historic Maseratis. Toyota released a spartan press release declaring the new 2014 Toyota Tundra will make its debut at the Chicago Auto Show. No teaser image was released. Stay tuned to the Windy City for the presser on Thursday, Feb. 7, at 9:00 a.m. (CST) in the Grand Ballroom at McCormick Place. The reveal of the redesigned Tundra will be broadcast live via Livestream at: http://new.livestream.com/toyota. YONKERS, NY — Consumer Reports testers found that the redesigned Ford Fusion hits a lot of high notes but some prominent gripes keep it out of the top tier of the independent testing organization’s midsized sedan ratings. Consumer Reports bought and tested three versions of the Fusion: a SE with the popular 1.6-liter EcoBoost four-cylinder, a SE Hybrid, and a top-level Titanium with the 2.0-liter EcoBoost engine. Their engineers found that the Fusion clings to corners, with quick, decisive turn-in response and well-controlled body lean. The steering is ideally weighted, with reassuring road feel. All three versions proved enjoyable, balanced, and predictable at their handling limits. Thanks to slightly sharper handling, the Titanium version is the best-handling midsized sedan Consumer Reports has tested. The Hybrid’s powertrain is very impressive. It’s slick and refined and delivers competitive acceleration. Plus, it squeezes out an eye-popping 39 mpg overall — the best fuel economy CR has measured in a midsized sedan. However, that fuel economy is considerably less than the EPA test results of 47 mpg overall, city, and combined. “All versions of the Fusion provide a composed, civilized ride that’s as good as that of some cars costing twice as much. We wish the Fusion’s EcoBoost engines better complemented its dynamic abilities,” said Jake Fisher, director of automotive testing for Consumer Reports. Ford’s pair of EcoBoost turbocharged four-cylinder engines fall short in both acceleration and fuel economy when compared with competitive models such as the Honda Accord, Nissan Altima, and Toyota Camry. The 1.6-liter turbocharged four provides decent performance overall but needs to work hard and sounds gruff when revved. The larger 2.0-liter turbocharged four delivers ample power but lacks the creamy smoothness of competing V6s while also being slower and less efficient. Another gripe of Consumer Reports engineers was the MyFord Touch infotainment system, which handles audio, climate, and communications functions. Optional in mid-trim Fusions and compulsory in high-trim Titanium versions, it’s needlessly complicated and finicky to use. The Fusion’s cabin space is a little snug, which compromises the driving position and rear-seat room. 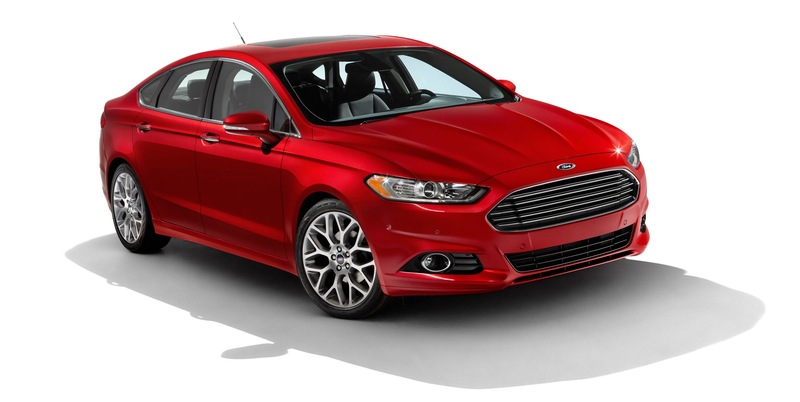 The Fusion’s sleek form is very eye-catching but it reduces function, cutting into outward visibility. Consumer Reports found its test cars, all bought soon after the Fusion went on sale, have multiple ill-fitting body and trim parts. None of the Fusion versions are currently Recommended by Consumer Reports because they are too new to have sufficient reliability data. Also included in this month’s report are Consumer Reports’ test of the Ford Focus Electric and the Mitsubishi i-MiEV. They join the previously tested Nissan Leaf as the first widely available all-electric vehicles. The Focus Electric builds on the great handling and refinement of the conventional Focus and adds instant, silent power and the second best fuel efficiency Consumer Reports has recorded the equivalent of 107 mpg (or 3.18 miles per kilowatt-hour). 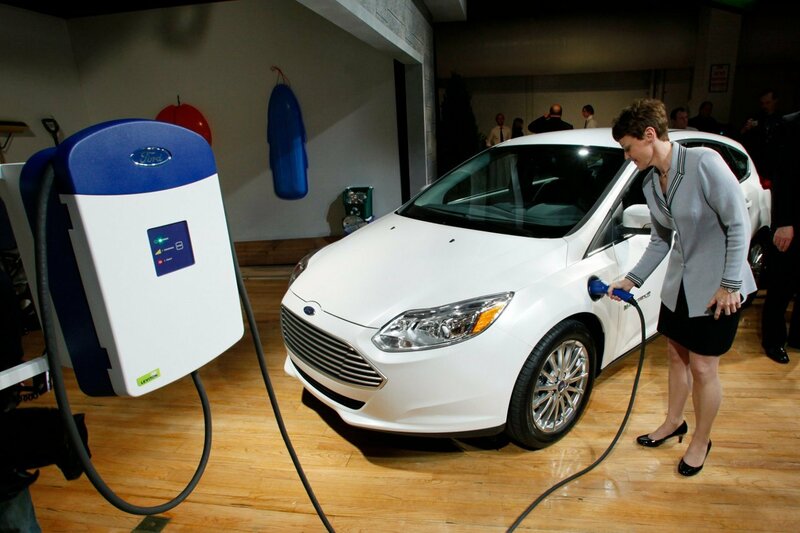 “The Focus Electric proves that electric cars can be both super-efficient and a lot of fun to drive,” says Fisher. But the Focus Electric can’t escape some inherent deficiencies, including a cramped rear seat and frustrating MyFord Touch controls. In addition, the large, lithium-ion battery pack consumes much of the modest cargo space. Neither vehicle is recommended. Both are too new for Consumer Reports to have sufficient reliability data for them. 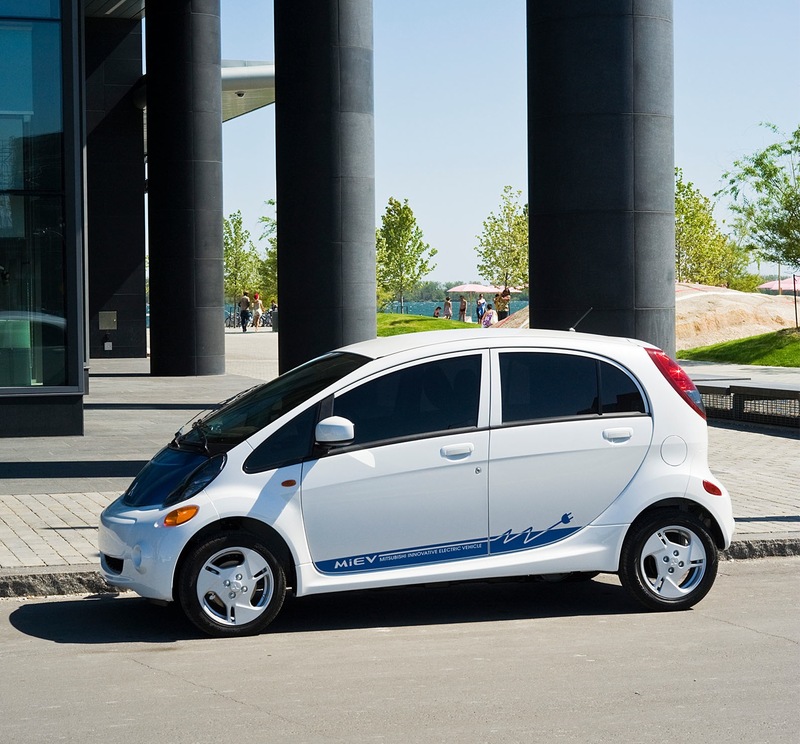 And the i-MiEV scores too low in our tests. 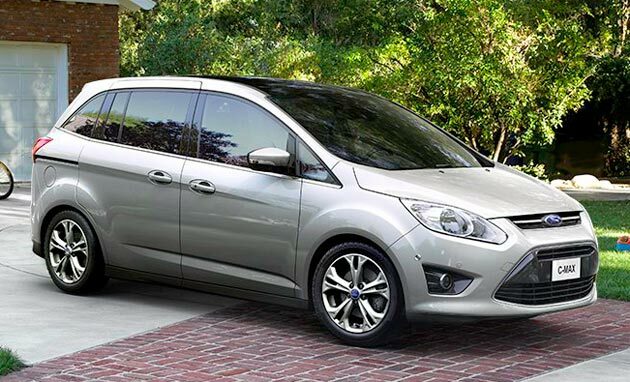 Consumer Reports also tested Ford’s C-Max, an appealing hybrid hatchback that packs a lot of room within its compact size. Consumer Reports’ measured fuel economy is 37 mpg overall. That’s impressive but falls far below the EPA’s stated combined city and highway of 47 mpg . The C-Max’s arch-rival is the Toyota Prius V. The C-Max can’t match the Prius V’s 41-mpg overall fuel economy or generous interior space. But the Ford is quieter and much more enjoyable to drive. Handling is agile, with quick and ideally weighted steering, and it rides very comfortably. Like other Fords, the optional MyFord Touch system is frustrating, but even the standard radio controls are overcomplicated. A plug-in hybrid Energi version is also available. The C-Max rates just below the Mazda5 at the top of Consumer Reports overall ratings for small wagons, but is too new for Consumer Reports to have compiled reliability data to Recommend it. Consumer Reports is the world’s largest independent product-testing organization. Using its more than 50 labs, auto test center, and survey research center, the nonprofit rates thousands of products and services annually. It’s already been review and revered for its simplicity, but now with the Super Bowl a few weeks away, the expected reviews of the upcoming commercials – and those past – will make the relentless football speak a little less overwhelming. The folks at Edmunds.com have a nice perspective of all things automotive and Super Bowl related with the links supplied to take you on an advertising trip down memory lane. (As a Patriots fan, we don’t wish to recall some Super Bowl outcomes that included the Chicago Bears and Refrigerator Perry rushing into the end zone. They’ve named the VW Passat “Darth Vader” spot the tops of all time. Find the rest of what their research and musings revealed below with the press release. SANTA MONICA, Calif. — A Volkswagen ad starring a pint-sized Darth Vader using “The Force” on an all-new Passat has been named the Best Super Bowl Car Commercial of All Time by Edmunds.com, the premier resource for car shopping and automotive information. 2. Nissan 300ZX Twin Turbo “Dream” (1990) — A full 23 years after it was introduced, the Z32-series Nissan 300ZX Twin Turbo remains a mesmerizing shape and a highly capable performance machine. And part of that mystique comes from this Ridley Scott-directed commercial, which was only shown once during Super Bowl XXIV and then never aired again. 3. Audi A6 “Through the Decades” (2009) — Audi takes full advantage of its extensive product placement budget (including providing cars to the sequels in The Transporter movie series) by putting Jason Statham through car chases in the 1970s, ’80s and ’90s before he gets an A6 for the contemporary conflict. 4. Hyundai Genesis Coupe “Epic Lap” (2009) —Drifting champion and stunt driver Rhys Millen takes a tire-frying lap of Road Atlanta in the then-new Hyundai Genesis coupe. 5. Ford GT “Everything It’s Supposed To Be” (2004) — Director Jeff Zwart put Rhys’ father Rod Millen behind the wheel of a Ford GT, dropped that car onto California’s Thunderhill Raceway, and shot it ripping around the course in every way conceivable. Edmunds.com offers the full top 10 list of the Best Super Bowl Car Commercials of All Time – including full videos of each spot – at http://www.edmunds.com/car-reviews/features/the-10-best-super-bowl-car-commercials-of-all-time.html. A preview of car commercials slated to run in this year’s Super Bowl can be found at http://www.edmunds.com/car-videos/2013-super-bowl-commercials/. Edmunds.com will feature videos of the spots as they are released in the days running up to the big game. Each year, Edmunds.com analyzes the effectiveness of automotive Super Bowl advertising by measuring site visitor traffic and other factors that indicate consideration of the featured vehicles. For a review of last year’s analysis, visit http://www.edmunds.com/about/press/post-super-bowl-lexus-and-kia-hold-biggest-gains-in-shopper-consideration-reports-edmundscom.html. At Edmunds.com, 18 million visitors use our research, shopping and buying tools every month to make an easy and informed decision on their next new or used car. Whether you’re at the dealership or on the go, we’re always by your side with our five-star Edmunds.com iPhone and iPad apps and our Edmunds.com Android App. Our comprehensive car reviews, shopping tips, photos, videos and feature stories offer a friendly and authentic approach to the automotive world. We’re based in Santa Monica, Calif., but you can connect with us from anywhere by following @Edmunds on Twitter or by becoming a fan of Edmunds.com on Facebook.